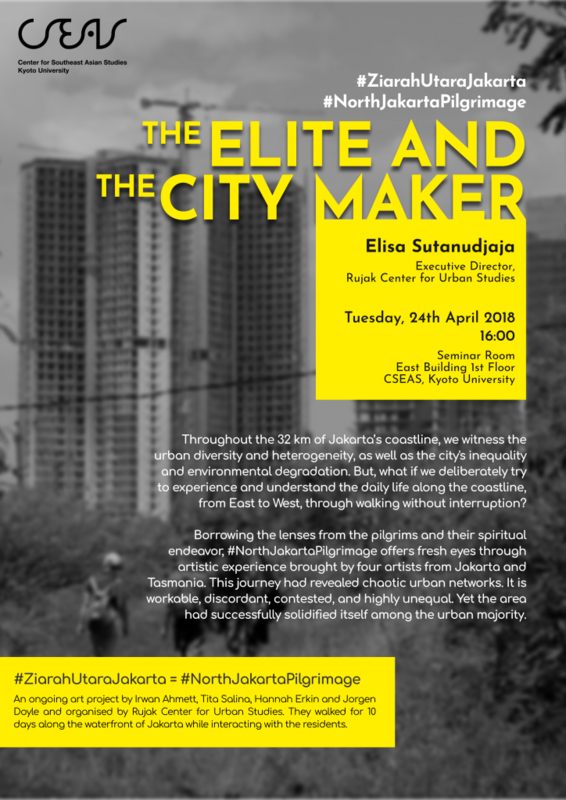 Throughout the 32 km of Jakarta’s coastline, we witness the urban diversity and heterogeneity, as well as the city’s inequality and environmental degradation. But, what if we deliberately try to experience and understand the daily life along the coastline, from East to West, through walking without interruption–borrowing the lenses from the pilgrims and their spiritual endeavor? #NorthJakartaPilgrimage offers fresh eyes through artistic experience brought by four artists from Jakarta and Tasmania. This journey had revealed chaotic urban networks. It is workable, discordant, contested, and highly unequal. Yet the area had successfully solidified itself among the urban majority.